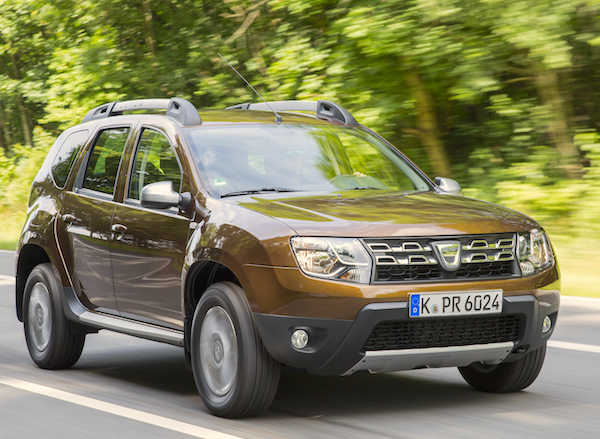 The Dacia Duster is equal-#1 in New Caledonia in March. The New Caledonian car market continues to struggle in 2016 with March volumes down 8% year-on-year to 651 units, pulling the first quarter total down 20% to 1.730 sales. Note that although an overseas territory of France located north-east of Australia, New Caledonia sales are not included in the monthly French data published by CCFA. Ford remains the most popular manufacturer in the archipelago thanks to 81 sales in March and 12.4% share, distancing Dacia (10.3%), Peugeot (8.4%), Toyota (8.3%) and Renault (8%). Model-wise, the Dacia Duster brilliantly takes the lead of the sales charts this month, tied with the Ford Fiesta at 33 sales each. Traditionally by far the best-seller here, the Ford Ranger is stuck in third position with 32 sales above the Toyota Hilux (29) and Peugeot 208 (22). There are four pickup trucks inside the Top 10 (add the Nissan Navara at #6 and the Isuzu D-Max at #9) and three Dacias in the Top 10 (add the Sandero at #7 and Logan at #8). Full March 2016 Top 30 All-brands and Top 30 models below.